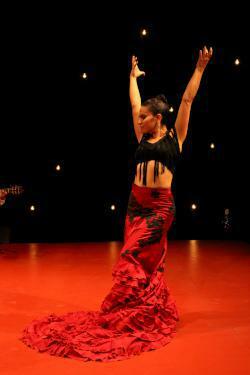 Contemporary flamenco dancer and choreographer Natalia García-Huidobro presents her homage to traditional flamenco, completing Violeta Parra’s unfinished work El Gavilán (Sparrowhawk). Violeta de Mayo was first known for singing zambras, farrucas and sevillanas with a flamenco company in Santiago, Chile. Jorge Bravo (guitar), Carlos Lobo (voice) and Demi García Sabat (percussion).